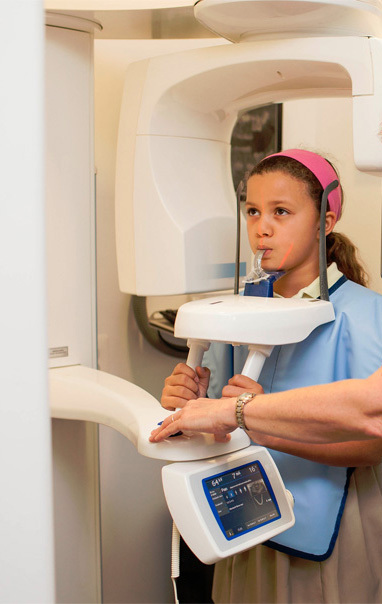 CBCT systems are radiographic systems used by dental professionals to analyze and reconstruct 3D images of a patient’s teeth, jaws and surrounding anatomy. The information obtained by means of CBCT imaging is useful in both diagnosis and precise treatment planning when two-dimensional diagnostic films are insufficient. 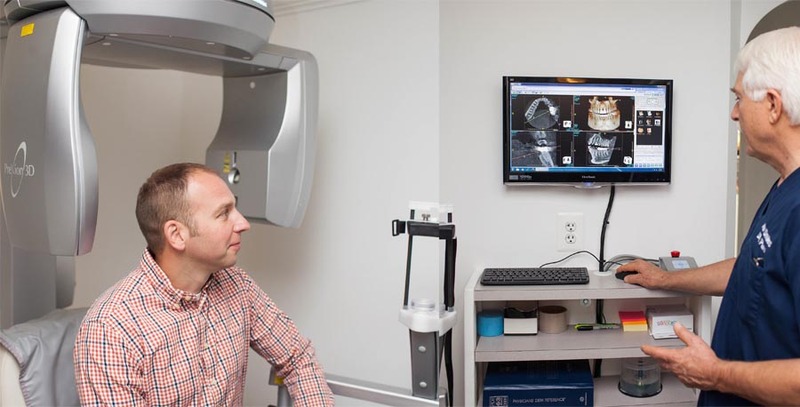 Dental CBCT is useful for multiple types of analyses as well as the assessment of maxillofacial disorders or pathology. It is also most useful in surgical planning, including the accurate placement of dental implants. 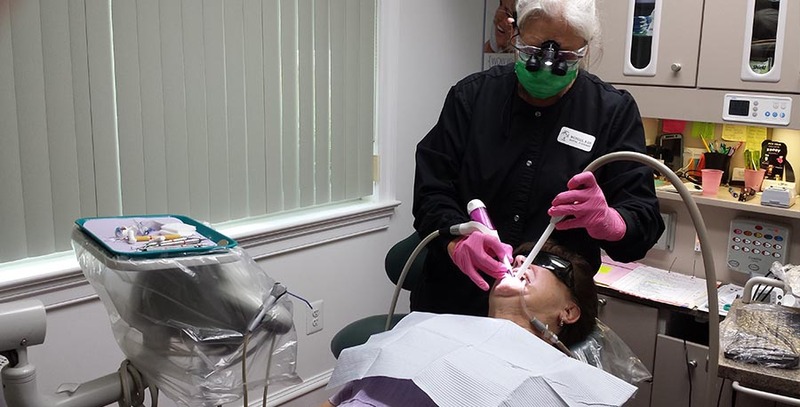 An air-flow polisher enables the dentist to gently and effectively remove stains, dental plaque, and other soft deposits from the surfaces of the teeth as well as from between the teeth. Far more comfortable and efficient than conventional dental methods, which use hand or rotary instruments to clean and polish the teeth, an air-flow polisher is also able to reach under the gums to remove the plaque and biofilm responsible for periodontal disease. By using water and air pressure to deliver a propelled stream of finely granulated, biocompatible powder, the air-flow polisher offers a faster and less abrasive way to clean the teeth and gums. 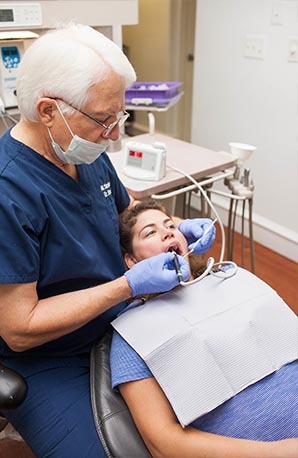 A more comfortable method of care for all patients, including those with sensitive teeth, air-flow polishing is safe to use around dental implants, veneers, crowns and bridges. Air-flow polishing is also useful prior to dental bonding procedures and the application of dental sealants. Working with Clinical Microscopes enables the dentist to perform procedures with the ultimate precision, efficiency, and confidence. The microscope provides superior illumination and magnification to allow maximum visualization of the procedure area. 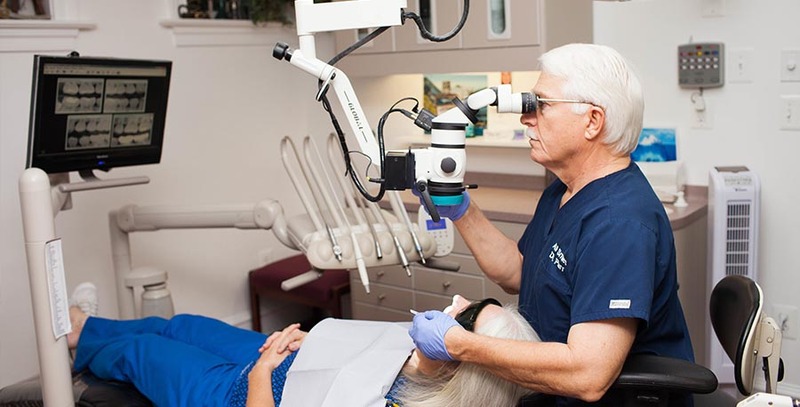 Any dental defects or irregularities that can impact the provision and the success of the treatment such as cracked teeth, root fractures, calcified root canals, as well as canals with challenging anatomy, can be visualized with this optical system. 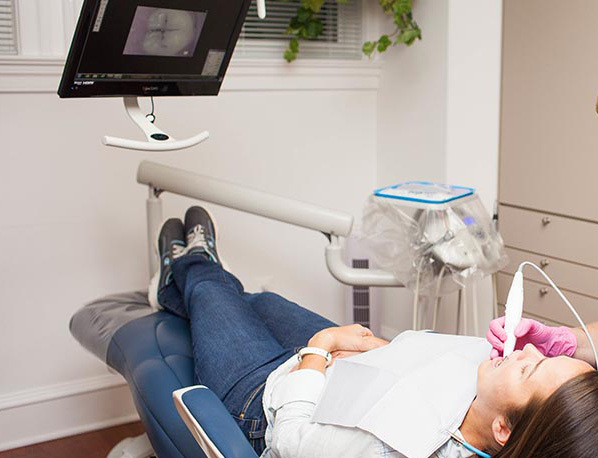 An intraoral camera is a wonderful communication tool that allows the dentist to directly show a patient a close up view of every tooth and the nearby soft tissues. With this technology any areas of concern can instantly displayed and discussed.